Maca powder is exceptionally good for you because it's nutritious and has a strong positive effect on the hormone levels. Its nutritional value is so high, it's considered superfood. You should eat only 2-3 tablespoons of Organic Maca Powder from Food to Live a day to get a boost of essential minerals and vitamins, as well as easily digestible plant-proteins. Originating from Peru, maca plant (Lepidium meyenii) has been used as a fertility booster and aphrodisiac for many centuries. The benefits of maca powder for women and men include the normalization of natural hormone levels as well as enhanced sexual function. It's also known as Peruvian ginseng and can alleviate the symptoms of menopause in women. Dried or raw, maca root is safe, but it's advised to take it in 'cycles'. For example, you can take 2-3 tablespoons daily for a week, then take a week-long break and continue. If you suffer from any chronic health conditions or take hormonal medications, consult a healthcare professional before including maca herb in your diet. Maca powder has a rather potent taste, a mix between earthy and nutty. The best way to eat it is to add it to smoothies. 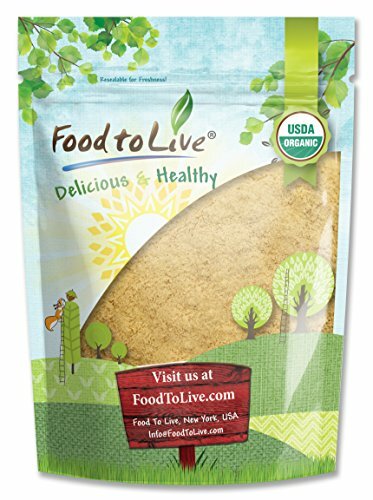 Cinnamon covers maca root natural flavor best. HEALTHY ENERGY BOOST: Maca root is packed with nutrients and would charge you with energy. GREAT SOURCE OF PROTEINS AND MINERALS: Food to Live Maca Powder is rich in iron, copper, and zinc. ORGANIC PRODUCT: Our Certified Organic Maca Powder is 100% safe and free from any contaminants.